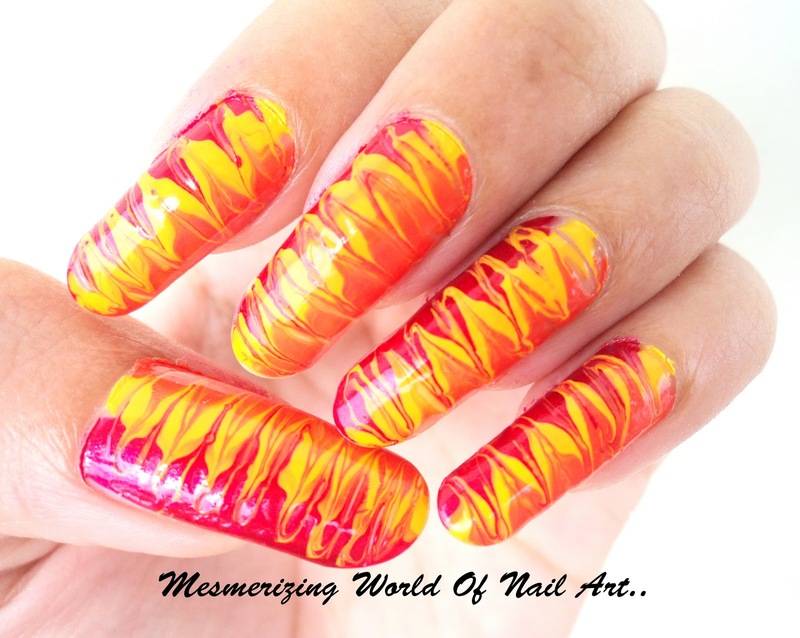 Mesmerizing World Of Nail Art...: "Hot Summer Nails"
I have done another summer nail art and loving it very much.This is very Bright and bold.. This technique is "Needle Dragging" and is a great way to get a marbled look on your nails. 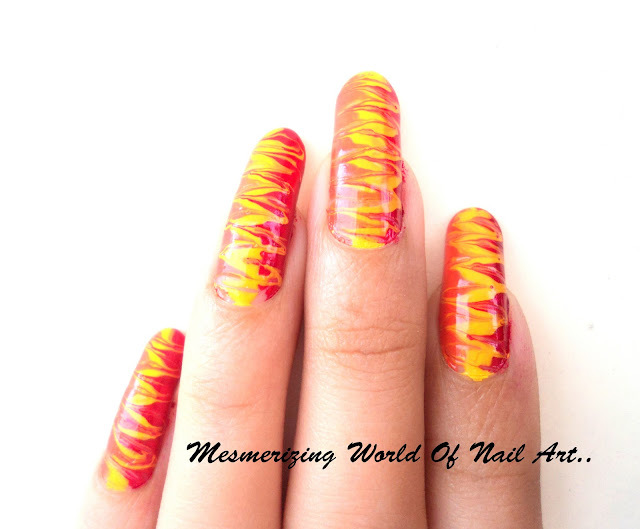 2.Paint thick layer of your first colour on 1/3 of your nail. 3.Paint thick layer of your second colour down the middle. 4.Finish with thick layer of your third color. 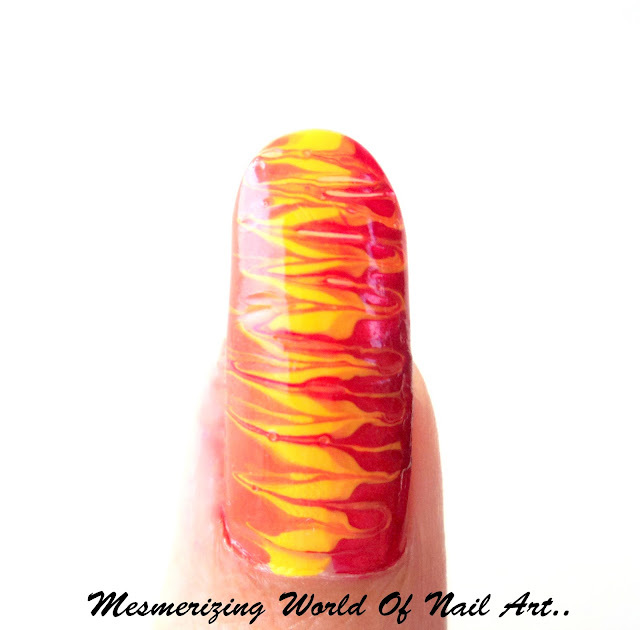 5.Drag the needle in a zigzag motion across your nail to marble the colours. And that's it.Apply your fav top coat!! You can use Needles, pins, toothpicks , or any pointed thing to do this art.